Winckworth Sherwood has advised L&Q in its joint venture with Countryside Properties to deliver a new 3,000-home mixed-use scheme at Beam Park in Dagenham. 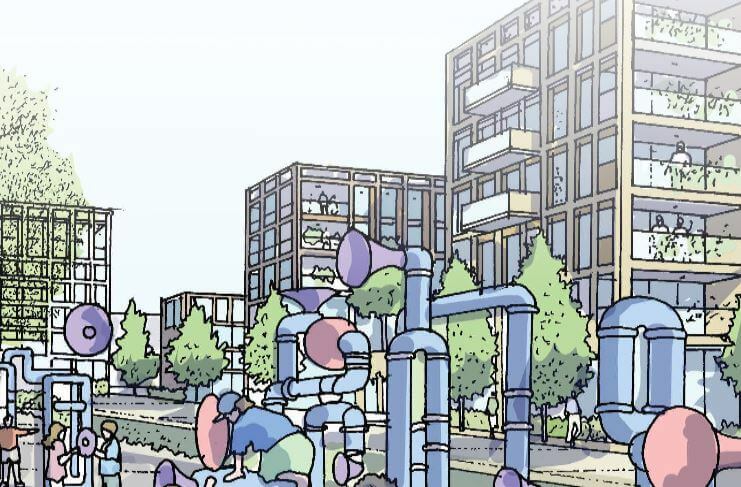 The site of a former Ford factory plant, the development was the second largest housing scheme to gain planning approval in the UK last year and will deliver 50 per cent affordable homes. Construction of the first phase of the project is set to begin in spring this year, with 650 properties expected to be completed by 2022. Alongside homes, the site will also deliver new infrastructure for the area, including two schools, a medical centre and train station. The firm provided a full, cross-departmental service, with partners from the real estate, corporate, finance and construction teams acting on behalf of L&Q, one of the UK’s leading housing associations, throughout the many stages of this complex joint venture project. Claire Hance-Lambie and Francesco Ferrari from the real estate team worked with Louise Leaver and Lucy Grimwood from finance, as well as Richard Tinham (corporate), and Alex Reid (construction), to structure L&Q’s joint venture with Countryside Properties. Meanwhile Charlie Proddow (real estate) and Chris Brigstocke (real estate) acted for the housing association to ensure half of the homes on the completed development will be affordable. Francesco Ferrari, Head of Real Estate said: “This is a significant regeneration scheme which has required a fully coordinated service. Our work is testament to our reputation facilitating and structuring complex joint venture arrangements.